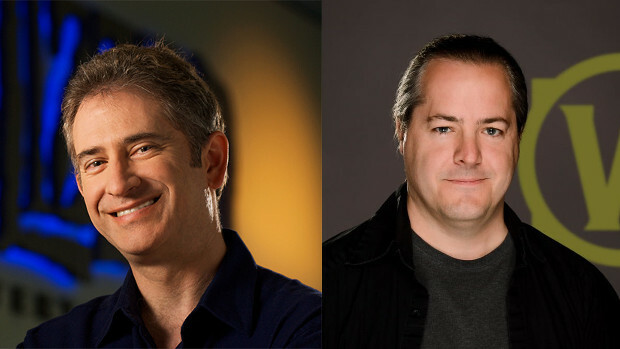 Today, (now former) Blizzard president and original co-founder, Mike Morhaime announced he’s stepped down from his role in favor of becoming an advisor to the company. The announcement comes after 27 years of leading Blizzard. Taking Morhaime’s place is J. Allen Brack. Most recently, Brack served as WoW’s Executive Director and has been a part of the WoW team for almost 13 years. Joining Brack at the helm will be Ray Gresko, who helped create Diablo III and Overwatch, and Allen Adham, Blizzard’s original founder and lead designer of World of Warcraft. Both Morhaime and Brack posted letters about the transition on the Blizzard blog. This news might be a bit surprising to most people. I know it was for me… especially considering how close we are to BlizzCon. That said, we wish everyone involved all the best during the transition, and ask that Morhaime send tasty beverages from whatever island he’s sure to vacation on for a while.